The Early Childhood Resource Centre - What is ECRC? 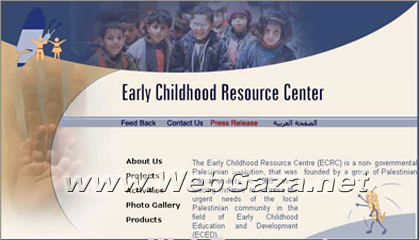 The Early Childhood Resource Centre, is a Palestinian non-governmental organization in Jerusalem. It is a leading initiative dedicated to address the needs of the Palestinian community in the field of early childhood education care and development.